YOKOHAMA, Japan -- Net income at Nissan Motor Corp. rose 5 percent in the January-March quarter, as higher sales and surging North American operating profit fueled earnings. Net income increased to 114.9 billion yen ($1.12 billion) in the company’s fiscal fourth quarter, from 109.7 billion yen ($1.07 billion) a year earlier, the company said today. Revenue gained 21 percent to 3.2 trillion yen ($31.13 billion), from a year earlier, as worldwide sales advanced 18 percent to 1.52 million vehicles. Robust sales and profits from North America, Nissan’s biggest and most profitable market, drove overall results higher and offset weaker business in Europe and Japan. Nissan’s U.S. sales have outpaced total market growth, handing it new market share. North American operating profit soared 73 percent to 104.0 billion yen ($1.01 billion) in the three-month period, from 60.1 billion yen ($584.6 billion) a year earlier. Regional sales climbed 11 percent to 443,000 vehicles. 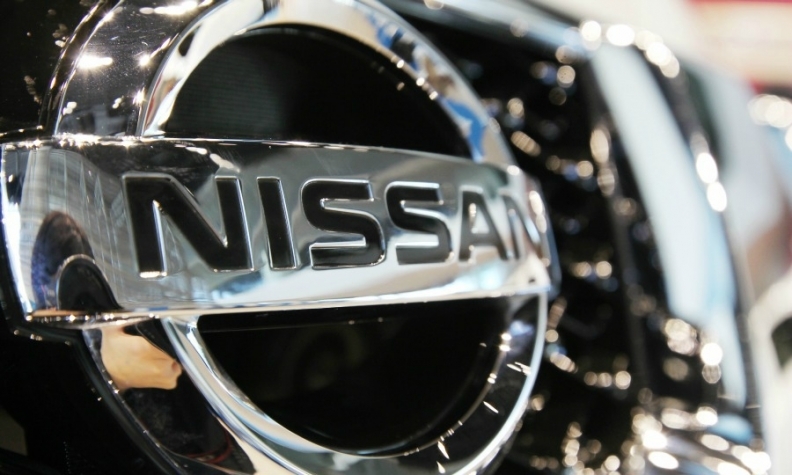 Nissan’s European business rebounded to a tiny 300 million yen ($2.9 million) operating profit in the fourth quarter, from an 11.9 billion yen ($115.8 million) loss the year before. But Europe remained Nissan’s weakest major market, swinging to an operating loss of 23.6 billion ($229.6 million) for the fiscal year, after generating a thin profit the year before. European sales rose 14 percent to 205,000 vehicles in the fourth quarter, but they expanded only up 2 percent to 676,000 units for the full fiscal year. CEO Carlos Ghosn said a focus on brand image and product launches bolstered both sales and profits in North America. He cited the redesigned Rogue crossover, which went on sale last year and is the first vehicle based on a new common Renault-Nissan platform, as the kind of vehicle that will drive results. “The U.S. looks good for us,” Ghosn said. U.S. market share is still below Ghosn’s target of 10 percent. But in the first three months of the year, Nissan North America’s market share rose to 9.5 percent, from 8.6 percent a year earlier. Ghosn wants 10 percent in the fiscal year ending March 31, 2017, as part of his Power 88 business plan. “You’re going to see us continuously be on the offensive in the U.S. until we reach this first milestone of 10 percent,” Ghosn said while announcing financial results. For the full year ended March 31, net income increased 14 percent to 389 billion yen ($3.78 billion), while operating profit added 14 percent to 498.4 billion yen ($4.85 billion). Revenue increased 20 percent to 10.48 trillion yen ($101.9 billion). Sales climbed 6 percent to 5.19 million vehicles. The weakening Japanese yen chipped in a windfall gain of 247.6 billion yen ($2.41 billion) in the fiscal year. The yen has dropped about 20 percent against the dollar over the past year. The currency’s depreciation increases the value of overseas earnings when they are repatriated to Japan and making Japan-made vehicles more competitive on the international market. Looking to the current fiscal year that began April 1, Nissan expects sales to increase 7 percent to 5.65 million units. Slumping volume in Japan will be offset by growing sales in all other markets, Nissan predicted. North America sales are expected to increase 7 percent to 1.76 million. Sales in Europe will advance 15 percent to 780,000 as that market recovers, Nissan predicted. Nissan forecast a 4 percent increase in global net income to 405 billion yen ($3.94 billion) and a 7 percent increase in operating profit to 535.0 billion yen ($5.2 billion). A stabilizing foreign exchange rate is expected to undermine the big earnings growth rates logged last year, while depreciating currencies such as the Russian Ruble and Euro actually contribute to a small foreign exchange rate loss.